‘All politics is local’ – it's an old adage that lies at the heart of all grass roots campaigns. Yet with the growth of national and international campaigning organisations, top down command structures and an era of shiny branded campaigns, the rebirth of this powerful paradigm is slow. We recently caught up with Patrick "PC" Sweeney, a senior campaigner from U.S. political action group EveryLibrary. Libraries are local by nature so it's perhaps not surprising that Patrick is a long-time advocate of the ‘All politics is local’ philosophy. What's interesting is just how successfully EveryLibrary has been deploying these strategies through digital, for local libraries across the US. Just this month, in Mary Esther, Florida, the city council considered closing the local library. EveryLibrary fought back, running a locally focussed digital campaign, educating and activating locals, and saved the much-beloved institution! But for national, or even global issues, does the ‘All politics is local’ philosophy still rule? Since the 80s, former U.S. speaker of the House, Tip O’Neill, has regularly cast-off the line. The term encapsulating how a politician’s success depends on their ability to effect change for their local constituents. While true, it's also a fact that national issues and movements can dominate media and election campaigns. And surveys show voters are more aware of national, versus local politics than ever before. And there’s a new layer of complexity - borderless networks and online communities. Nevertheless, the structure of our political system hasn’t changed, nor have our decision-making frameworks. While it’s clear the campaigners of today have more to consider, breaking advocacy strategies down to a local level still delivers. Whilst campaigners are keeping this in mind, we've seen new strategies deployed - strategies adapted for the networked age. 'Networked campaigning' – or 'directed-network campaigns' have been designed for today's world. What's key is that they are enabled by digital technology, allowing a central narrative and strategic direction to guide – but not control – locally run campaigns. This allows for much greater self-determination, co-creativity and ultimately participation. Good examples of groups taking up this model include one of the first groups to scale the technique - 350.org. The climate movement, founded and led by Bill McKibben, has said the use of networked campaigning was born of necessity. He and a bunch of college students didn't have the capacity to operate a global climate organisation so they kind of naturally gravitated to the model. Also worth checking out, is the U.S. based Black Lives Matter, the global anti-Trump, pro-lots-of-good-things phenomenon that is the Women's March and the Stop Adani campaign which is putting the brakes on the Adani juggernaut as it tries to open the world's biggest coal mine. Another standout example - Fight for $15, embodied the distributed model and unleashed self-starting grassroots supporters. 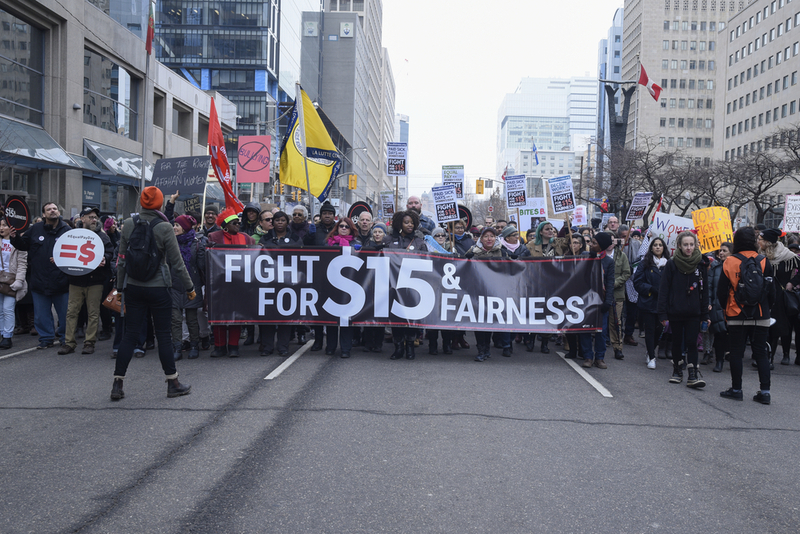 Fight for $15 sparked local worker-led protests and strikes all over the U.S. This campaign also did an excellent job of issue framing, leveraging powerful arguments and connecting not only local communities but issues based communities as well. the key principle of networked campaigning is inviting and opening up to grassroots power - a common thread of most winning campaigns. Whilst clearly this model is kicking goals, even organisations that have a traditional grass roots heritage and approach can find this new paradigm daunting. We're seeing slower than expected uptake in larger activist organisations, as they see these techniques as the domain of new grass roots advocacy groups and movements. And while to some degree that is true, it's changing as this article in the Stanford SOCIAL Innovation Review attests. For our money, we think networked campaigning is the future (it's also the past but that's a topic for another post! ), and we've decided we can do a lot more to make it easier for campaigners to get their networked campaigns cranking. We're working on some exciting tools to make this a reality. So stay tuned! 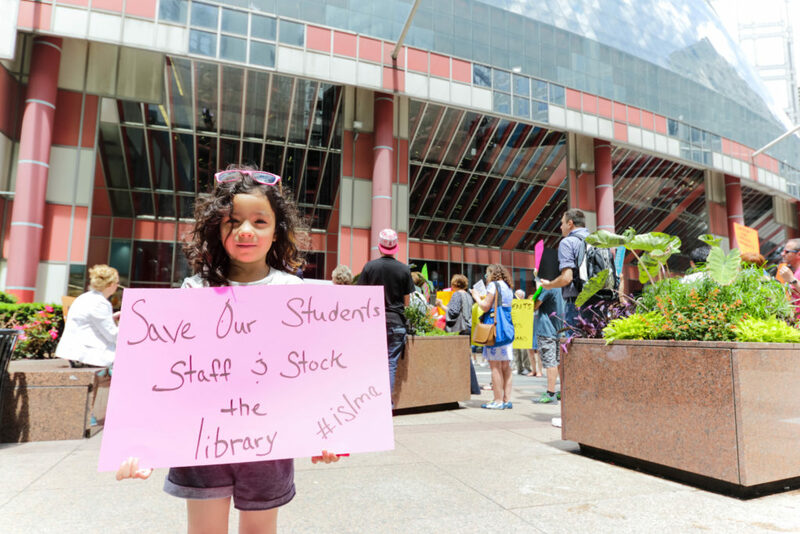 Send an email to preserve federal funding for all libraries!